MANILA — ACTS-OFW Party on November 25 urged the government to push for an out-of-home option for overseas Filipino workers (OFWs) in a bid to stop potential abuse by some employers. The party’s spokesperson, Francisco Aguilar Jr, says many OFWs, especially those working in the Middle East, are vulnerable to abuse due to their live-in conditions with their employers. 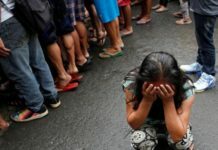 “To counter-act this vulnerability, we have to encourage live- out schemes for our domestic workers once they have completed their job shift,” Aguilar said in a statement according to GMA News. 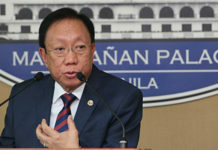 Aguilar added the option will help OFWs to get adequate rest, sleep and privacy. “Japan, for example, agreed to import Filipino ‘professional housekeepers’ employed by a Japanese staffing company,” Aguilar said. “The staffing firm assigns the professional housekeepers to individual Japanese homes, and then pulls the workers out after their eight-hour shift,” Aguilar added, noting the staffing agency would also provide and pay for the live-out arrangement. Meanwhile, the party-list’s demand for a live-out option has been prompted by the alleged poisoning death of 44-year-old OFW Emerita Gannaban in Saudi Arabia. In another report by the Business Mirror, meanwhile, Budget Sec. 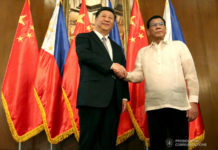 Benjamin Diokno has confirmed China and the Philippines will engage in a deal that will see the deployment of 10,000 OFWs in companies in China ahead of the state visit of Chinese President Xi Jinping in Manila. 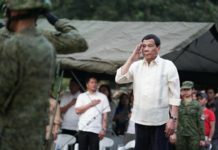 “They are planning to hire our countrymen because we’re afraid that [with] what’s happening in the Middle East, there’s going to be an exodus of OFWs. China is willing to hire our OFWs. It’s G2G (government-to-government arrangement), not through a third party,” Diokno said. 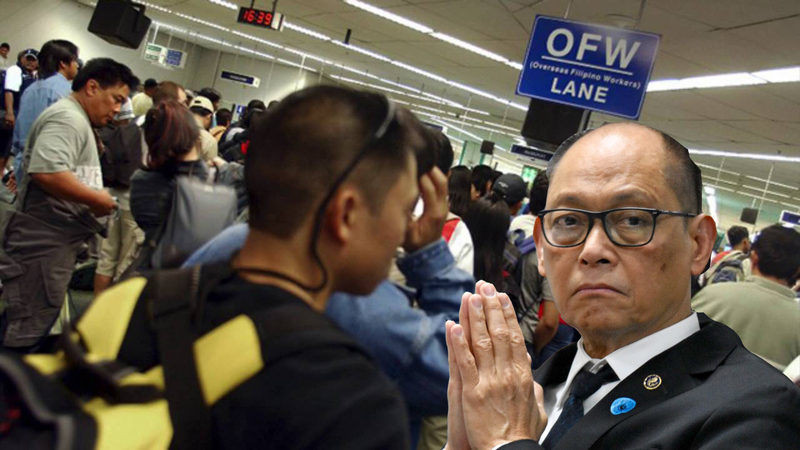 “(Because of their previous) one-child-only policy, they might be able to use our surplus labor here,” Diokno added, noting Hong Kong workers are now looking at China for better pay and economic opportunities. Diokno also noted sending foreign workers to China is not uncommon, citing the presence of expats in cities like Beijing, Shanghai and Guangdong. 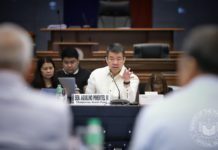 “Of course, the adoption of new technology…just (like) the choice of the third telco player, that’s the joint venture between the Chinese firm, so we will benefit from this relationship in those terms, higher trade, exchange of manpower and the adoption of new technology,” Diokno said. Meanwhile, the Department of Labor and Employment (DoLE) confirmed no public school teachers will be deployed in China and that the looming OFW deal will only be limited to private sector jobs. “Applicants must also have a bachelor’s degree or above from normal universities or in education or English language from Philippine educational institutions accredited by the Chinese government,” the Business Mirror reported. “The number of Filipino teachers of English language that can enter China under this MOA shall be based on the actual situation of market supply and demand determined through negotiation between the Philippines and China,” DoLE said. “We are still waiting from China the details of the first batch of applicants needed before it could be posted by the(Government Placement Branch (GBP),” POEA Administrator Undersec. Bernard Olalia told Business Mirror via SMS, noting the IRR is no assurance of early deployment of Filipino teachers under the program.